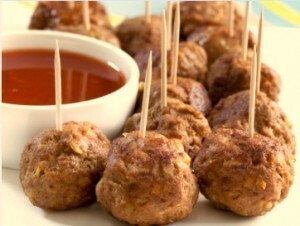 Make these meatballs with your choice of turkey, lean beef or chicken meat. Combine all ingredients and roll into balls. Bake, grill or pan fry till they are cooked all of the way through. Serve alongside sautéed veggies and your favorite Asian dipping sauce. Preparation time: 10 minutes. Cooking time: 10 minutes (or until meat is done). Serving size: 2 to 3 meatballs. As an advocate of natural food and healthy living, Dr. Keith Kantor is a leading nutritionist and the CEO of Service Foods, Inc. He is also the author of What Matters: Leadership Values That Just Might Save America.